We used data from the Healthcare Cost and Utilization Project-National Inpatient Sample. Cannabis users (615) were compared directly after propensity score match to non-users, in aspects of various complications and clinical end-points. Among matched cohorts, Cannabis users were less likely to have the following: active fistulizing disease and intra-abdominal abscess (11.5% vs. 15.9%; aOR 0.68 [0.49 to 0.94], p = 0.025), blood product transfusion (5.0% vs. 8.0%; aOR 0.48 [0.30 to 0.79], p = 0.037), colectomy (3.7% vs. 7.5%; aOR 0.48 [0.29-0.80], p = 0.004), and parenteral nutrition requirement (3.4% vs. 6.7%, aOR 0.39 [0.23 to 0.68], p = 0.009). 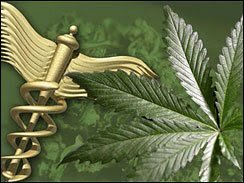 Cannabis use may mitigate several of the well-described complications of Crohn’s disease among hospital inpatients. These effects could possibly be through the effect of cannabis in the endocannabinoid system. According to a 2013 study published in the journal Pharmacology and by the National Institute of Health, cannabis is effective in treating Chron’s disease. This study, conducted by researchers at the Institute of Experimental and Clinical Pharmacology at the Medical University of Grazin Austria, can be found by clicking here. The post Marijuana Associated With Fewer Disease-Related Complications In Those With Crohn’s Disease, Finds Study appeared first on TheJointBlog.